In the same week that Democrats announce they'll hold hearings to probe why Trump's Interior Department shrank Bears Ears National Monument by 85%, the internet is abuzz with this image. Archaeologists have identified this artifact as a 2000-year-old tattooing instrument, unearthed from Bears Ears in Utah. 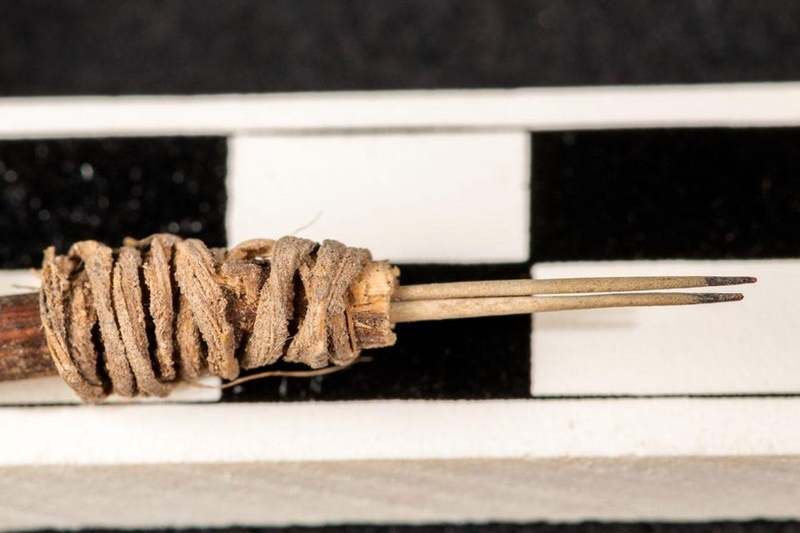 New findings published in the Journal of Archaeological Science: Reports this week show that this tool, found at the ancient Native American site, is a tattoo needle fashioned from cactus spines that was created between years 137–215 CE. 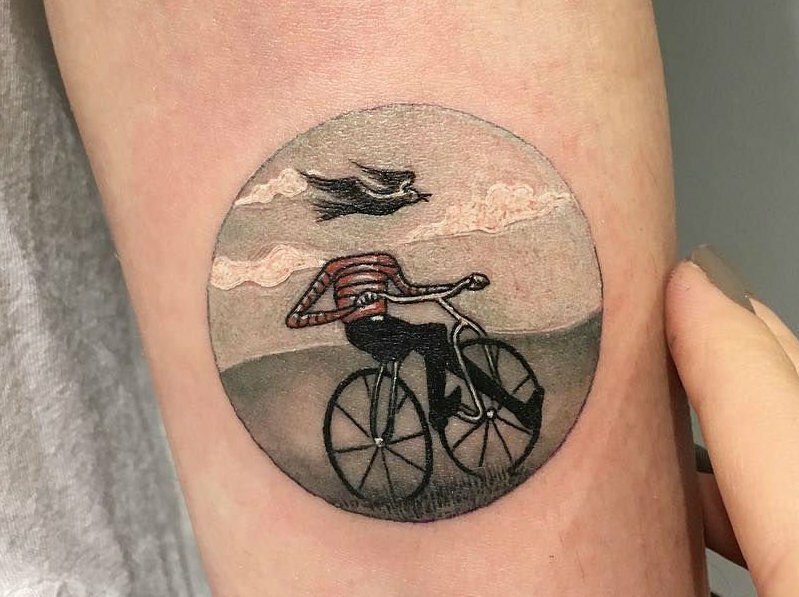 Tattoo by Roy Rowlett of Mama Tried Tattoo Parlour in Louisville, Ky.
“He wasn’t so old [at the time of the tattoo] so he didn’t think about it. 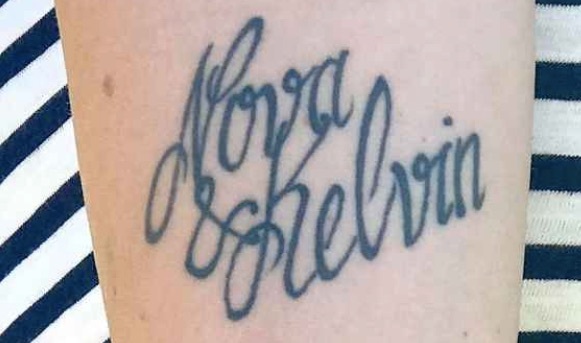 He’s five now, but when I got the tattoo he was approaching two,” she said. 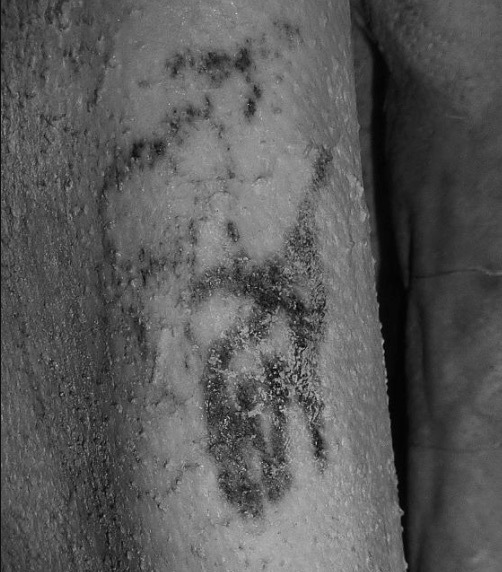 Along with a Copper Age European of almost identical vintage, found preserved in an Alpine glacier, the ancient Egyptian is the oldest tattooed individual ever discovered. However, the Alpine mummy – often dubbed the Iceman – only had seemingly abstract groups of dots tattooed on him. The Egyptian, on the other hand, bears the earliest known example of tattoos in figurative art form. Examination of the art suggests they were made with a carbon-based pigment, probably soot. 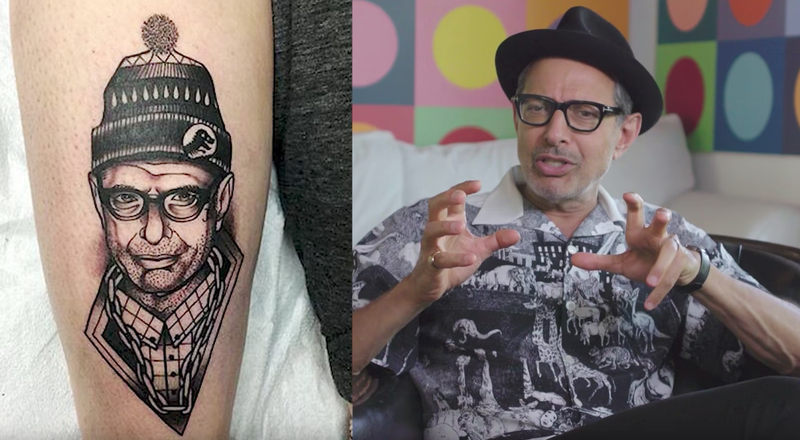 Here's a meta moment for you: Jeff Goldblum critiquing other people's Jeff Goldblum tattoos in the way only Jeff Goldblum could. "Ten Goldblums out of a possible 10 Goldblums." 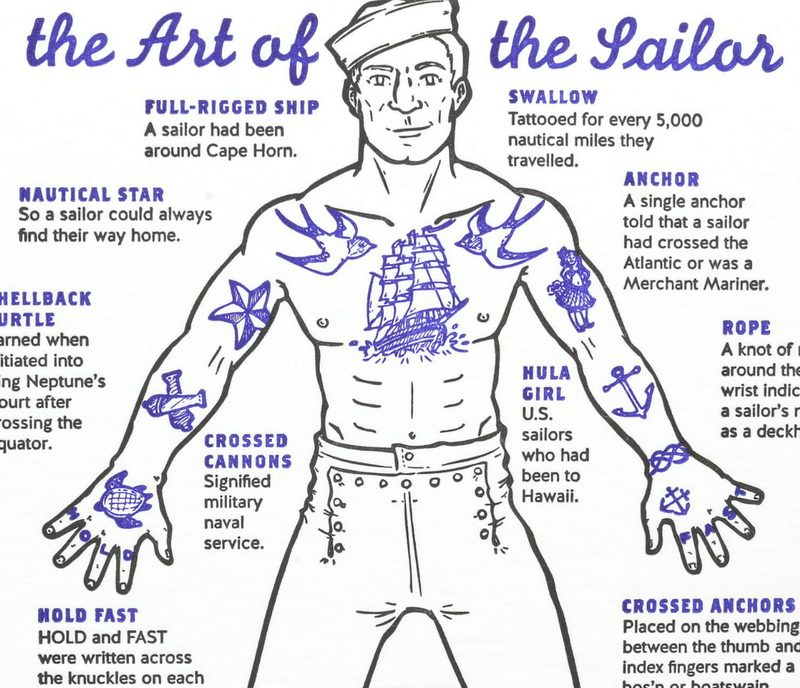 Tall ship sailor-turned-cartoonist Lucy Bellwood's gorgeous "The Art of the Sailor" is an informative guide to the meaning of sailor tattoos. It first appeared in Vancouver Maritime Museum's traveling exhibit, "Tattoos and Scrimshaw: the Art of the Sailor." Giclée art prints are available directly from the artist for $15 to $20. 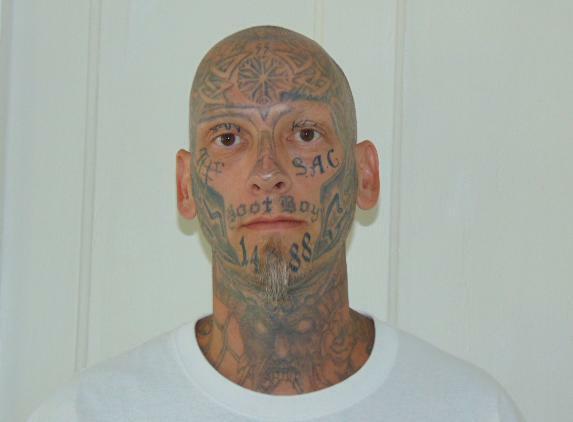 This site has vintage photos of some of these tats (and others). 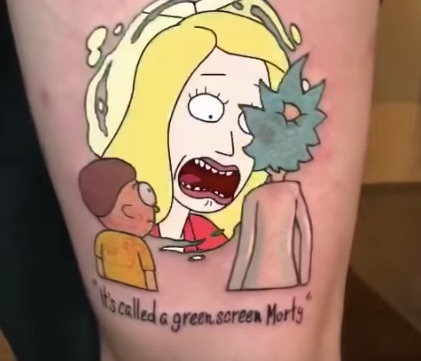 Choosing art to be inked permanently on your body can be a crippling decision, at least for some folks. 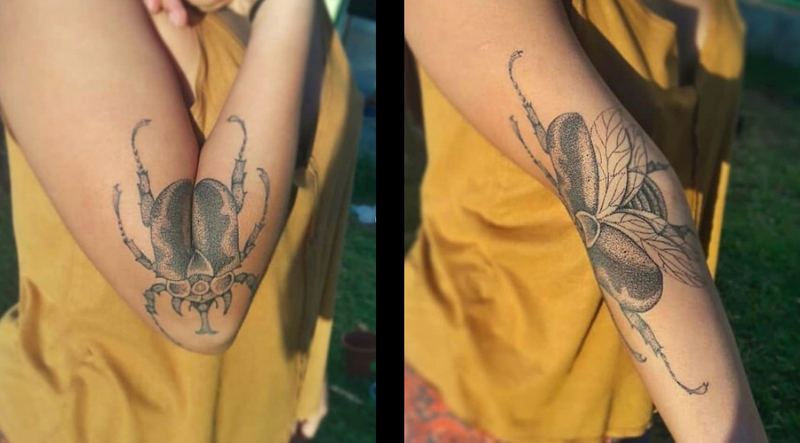 Elm Street Tattoo in Dallas, Texas thought of a fun way to make the process simpler. They created a vending machine that picks the art for you. Yup, for $100 you get one turn of their "Get What You Get" machine. 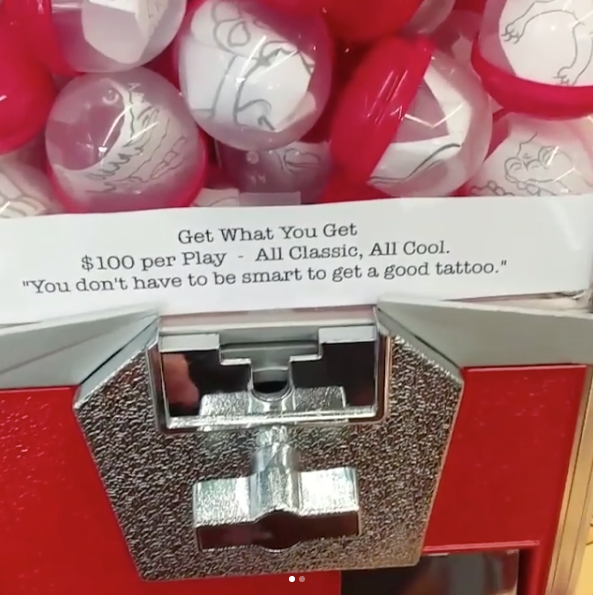 "What you get" is an old-school tattoo design which pops out in a plastic toy capsule and is then inked on your person. If you aren't cool with the design, don't throw a fit because for another $20 you can buy yourself another spin. 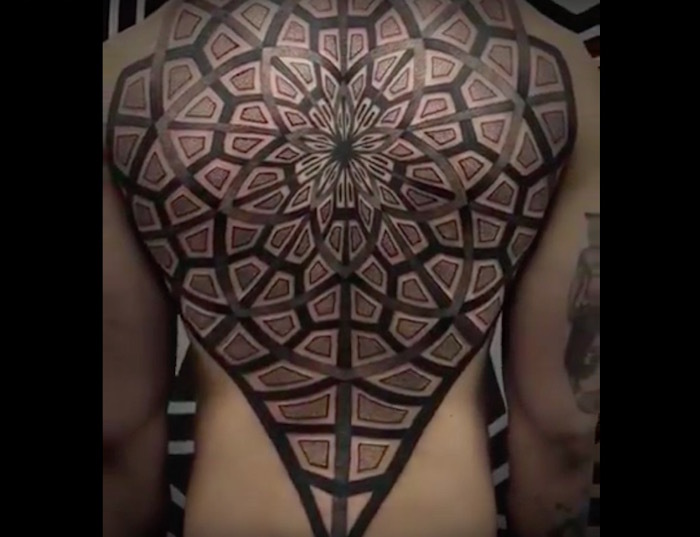 No one is forced to put the design on their body; however, there are no refunds. Boogie, a shop employee, told the Dallas Observer, "All of these tattoos I would price out between $160 and $180 ... maybe $250." 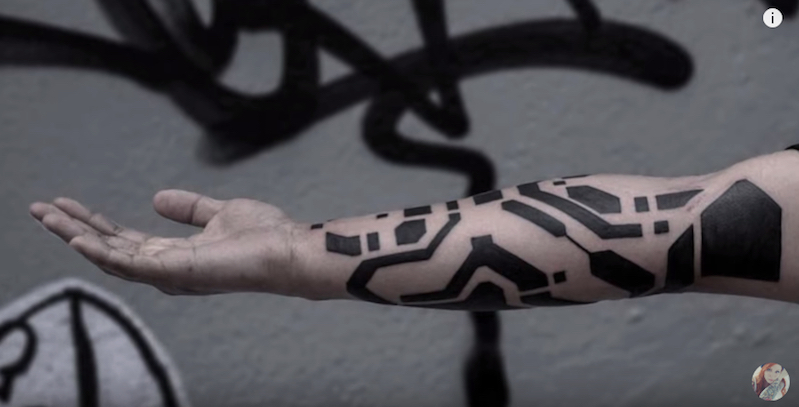 Tattoos will be completed on a first-come, first-served basis. If there's no line, you can get yours right away. If all of the artists are booked, you may have to make an appointment. 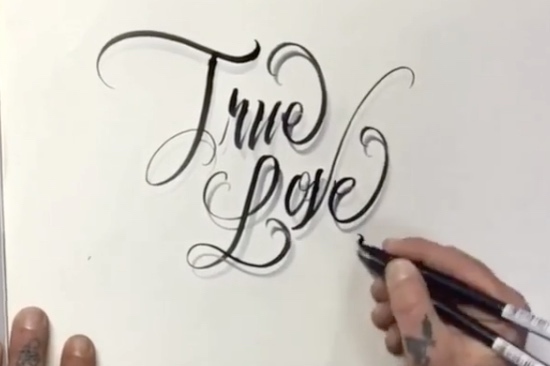 The shop's co-founder and Ink Master star Oliver Peck writes, "Not a bad design in the bunch." 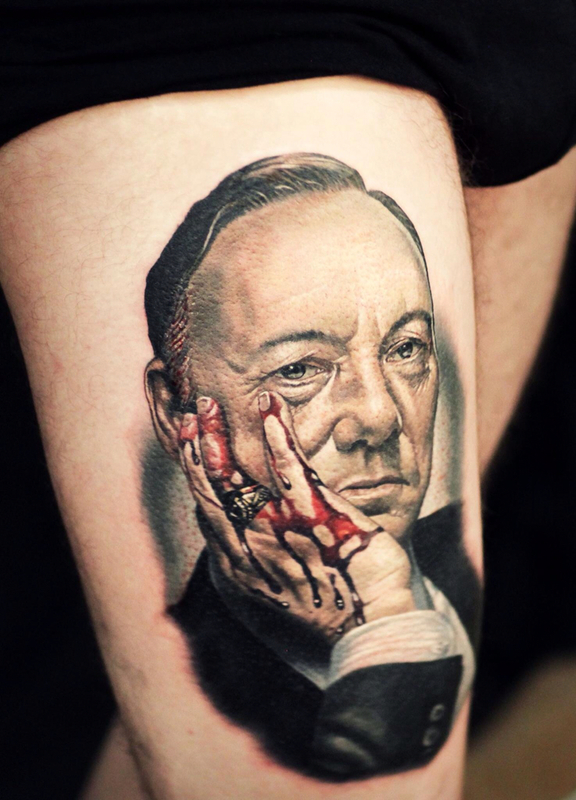 Tattoo artist Phil Berge's handiwork is old school, yes, but some of his tats more than that. They are animated! At the Tattoo Shack in Quebec where he works, he inks multiple people with one frame of an animation. For instance, to create that Bart Simpson "tattoo flipbook" (above), he had to ink 19 different people. Pretty cool, isn't it? You can check out more of his (mostly non-animated) work at his Instagram.